But none are ideal. The D70 is too big and heavy. You can’t use it without looking like a paparazzi. It also has a small, low-res LCD and a, now meagre, 6MP resolution. The TX1 was bought in Hong Kong and promised 1080i HD video in a compact camera that was equally capable in snapshot mode. Despite its superb optical zoom, it wasn’t great, the from factor was too small for video and not ideal for stills. That leaves the iXUS 65. That has always been a great camera. It was one of the first to eschew an optical viewfinder in favour of a large rear mounted LCD and despite only having 6MP, the images stand the test of time. I bought a waterproof case for it and it’s our default holiday camera. We have some superb pictures taken snorkelling off a boat in Turkey and in the pool in various places. But it is just a snapper, with limited control and I needed a new camera to replace the D70 but hopefully be usable in all roles. And so it was that I came across the Micro 4/3rds system. Designed by Olympus and supported by Panasonic, it marries the creative control of a DSLR with removable lenses and a small form factor. The 4/3rds sensor is smaller than the APS-C size used in consumer DSLRs but much larger than the teeny sensors used in compact cameras. There are two main options in Micro 4/3rds standard, DSLR like designs, far smaller than normal DSLRs because it does not have a mirror, instead of the optical pentaprism style viewfinder you get a digital display in its place or compact camera styles with a large, rear mounted LCD. Having had the opportunity to test one I knew that it was the ideal replacement for my D70. 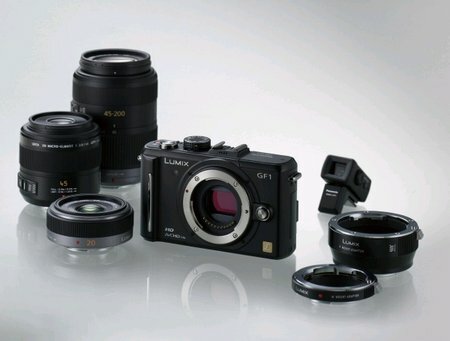 Higher resolution, small form factor, full manual control and support for a range of lenses. 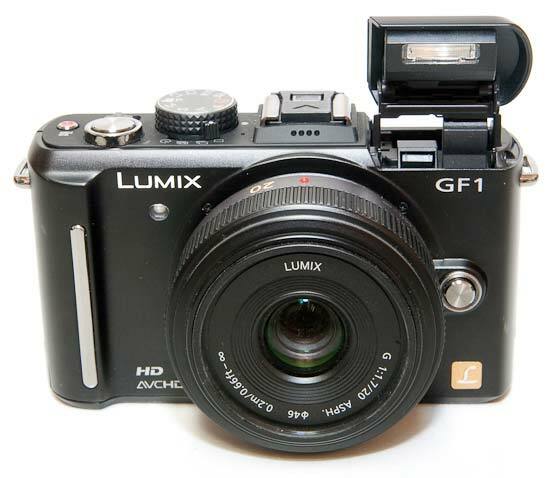 And so I am now the owner of a Panasonic Lumix GF1. Although it is to be replaced by the GF2 anytime now, I opted for the GF1 because it has real buttons and dials whereas the GF2 has moved to a touchscreen for control of most options. Coupled with the 14-45mm kit lens and the superb bright 20mm pancake it has reinvigorated my enjoyment of photography. Fitted with the 20mm it fits in a pocket and works brilliantly even in low light. The controls have been well thought out and all the functions I need regular access to are a fingertip away. I’m using my EyeFi Pro X2 SD card in the camera for wireless upload and, once EyeFi release the promised update, I’ll be able to take photos at tech shows and have the images transmitted to my iPad. From there I can edit them and upload to the web-site directly together with my news post. I now carry it everywhere, which is the main point of this form factor for me. There is a famous saying that the best camera is the one you have with you, and it has never been more true.